My sweet friend Monika is celebrating a birthday this month! She wants to celebrate with a challenge. So her challenge is to CASE one of her cards. For my CASE card I chose the card below. This was a fun challenge for me as I don't create a lot of masculine cards. Which happens to be Monika's favorite card to make. I hope she likes my attempt at CASE-ing her card. If you'd like to help Monika celebrate her birthday month, hop on over to her blog and play along. Just click HERE to follow the link. 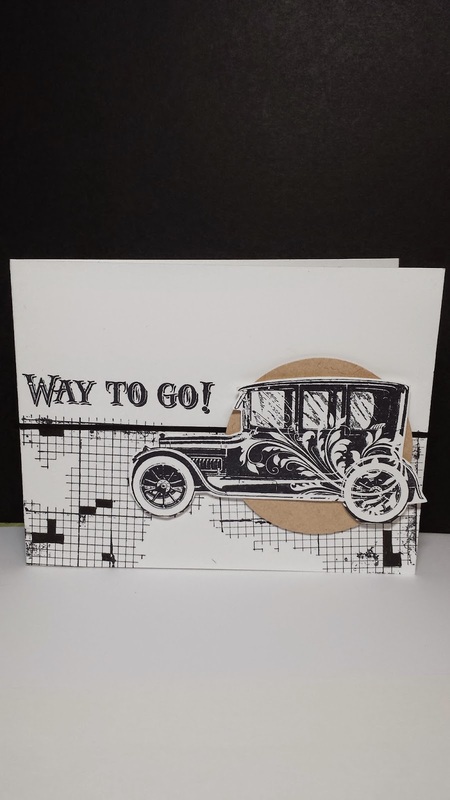 the car its an old card ooh I love that stamp which company is it Betty..please tell me..
love love love this Betty.. I love this card. It is such a perfect male card. May I post a link to your card on my Manly Monday blog post? It's a post where I showcase masculine cards for my readers. Email me link to your card so I can find it at grohcm at gmail dot com. I will send you an email when the post goes live. Thank you. 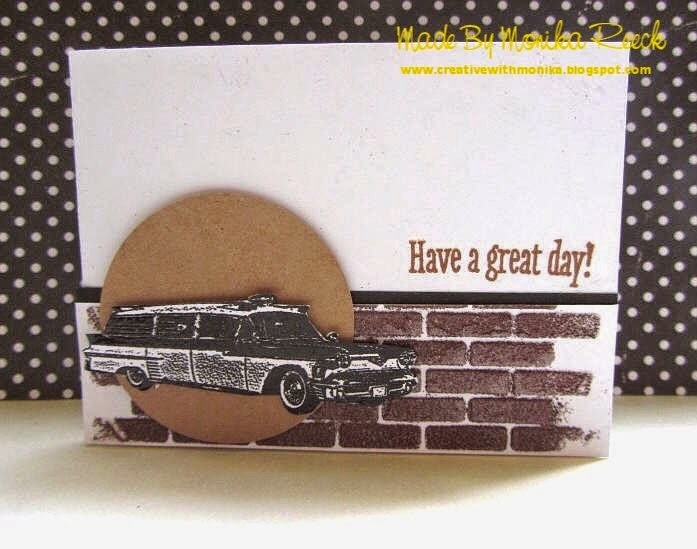 Very nice card (Manly Monday)!!! Thanks for leaving your lovely comment on my blog. Popping over from Manly Monday, love this card . . . I have the same stamp set, thanks for the inspiration to dig it out and use it. Great masculine card. Love your design!